The contract is worth up to $376 million. The solution of BAE Systems involves new technology together with proven capability to provide the Infantry Brigade Combat Team (IBCT) with a highly agile, armour-protected vehicle, distinguished for overwhelming and precise firepower. Under the contract, during the EMD phase, BAE Systems will manufacture twelve prototype vehicles. The works will be performed at BAE Systems’ facilities in Aiken, South Carolina; San Jose, California; Sterling Heights, Michigan; and York, Pennsylvania. The MPF vehicle of BAE Systems is based on research and development of more than 30 years. The goal during these years was an optimized, light, rapidly deployable combat vehicle developed especially for the needs of light infantry. 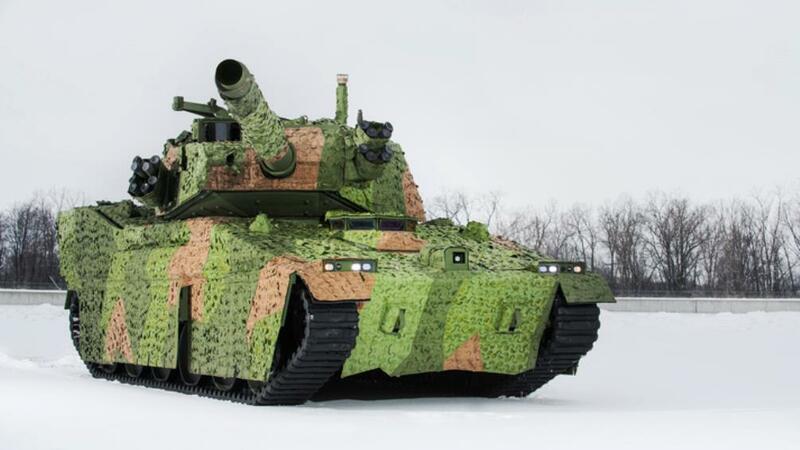 The vehicle leverages investments the Army made in the M8 Armored Gun System, including its low-profile design, and proven technologies such as the M35 105mm cannon, and an auto-loading ammunition system, which allows the gun to fire at a rate of 12 rounds per minute. The access to the engine and transmission without the aid of heavy equipment is easy thanks to the innovative roll-out powerpack design. The MPF vehicle also features scalable armour and innovative survivability subsystems for protection of the vehicle and crew against threats on the battlefield, as well as situational awareness systems that enhance the survivability and crew protection.